A simple, yet very satisfying recipe that Campbell's Classic Tomato Soup with chicken, grated parmesan and shredded mozzarella. 2. 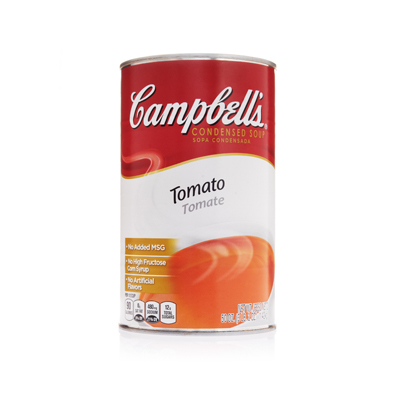 Mix Campbell's® Condensed Tomato Soup with water. 3. To Serve: Using an 8 oz. ladle, portion 1 cup soup into a 10 oz. bowl.